This contemporary coffee series commands attention with its stylish, modern design. The table showcases a tempered glass tabletop, supported by eye-catching curved double pedestals in popular contrasting colours. Built with high-grade materials, itll quickly become a long-lasting, eye-catching conversation starter. 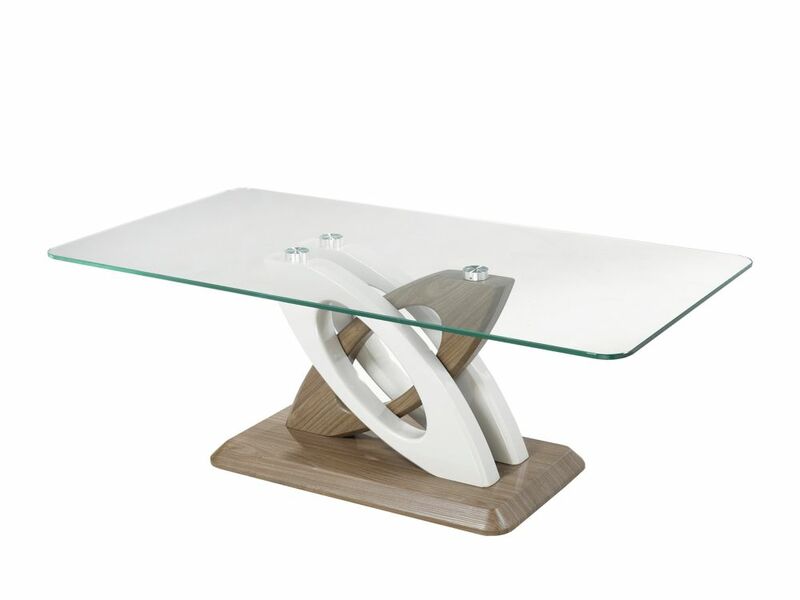 Donatello Coffee Table, White/Brown This contemporary coffee series commands attention with its stylish, modern design. The table showcases a tempered glass tabletop, supported by eye-catching curved double pedestals in popular contrasting colours. Built with high-grade materials, itll quickly become a long-lasting, eye-catching conversation starter.